Cette ville sacrée était l’un des plus grands centres mayas de la péninsule du Yucatan. Tout au long de son histoire, qui s’étend sur presque mille ans, la ville fut embellie grâce à la contribution de différents peuples. Mayas et Toltèques ont laissé sur la pierre des monuments et des œuvres artistiques I’empreinte de leur vision du monde et de l’univers. L’extraordinaire fusion des techniques de construction mayas avec les nouveaux éléments venus du Mexique central fait de Chichen-Itzá l’un des exemples les plus importants de la civilisation maya-toltèque du Yucatan. Plusieurs bâtiments de cette civilisation subsistent, notamment le temple des Guerriers, El Castillo et l’observatoire circulaire connu sous le nom d’El Caracol. كانت هذه المدينة المقدّسة من أكبر المراكز التابعة لحضارة المايا في شبه جزيرة يوكاتان. فعلى مدى تاريخها الذي يمتدّ على 1000 سنة تقريبًا، جُمّلت المدينة بفضل مساهمة شعوب عديدة. فقد ترك شعب المايا والتولتيك على حجر الآثار والأعمال الفنية صورةً عن نظرتهم إلى العالم والكون. فالدمج الرائع لتقنيات البناء التي اعتمدها شعب المايا مع العناصر الجديدة التي أتت من وسط المكسيك جعلت من شيشا ايتزا من أهم الأمثلة التي تدلّ على حضارة المايا والتولتيك في يوكاتان. وما زالت عدّة مبانٍ من هذه الحضارة صامدة، لا سيّما معبدا المحاربين و"ال كاستيلو" والمرصد المستدير المعروف باسم "ال كراكول". Esta ciudad sagrada fue uno de los centros más importantes de la civilización maya en la península del Yucatán. A lo largo de sus casi mil años de historia, diversos pueblos la fueron marcando con su impronta. Los mayas y toltecas dejaron inscrita su visión del mundo y el universo en sus monumentos de piedra y obras de arte. La fusión de las técnicas de construcción mayas con nuevos elementos procedentes del centro de México hacen de Chichén-Itzá uno de los ejemplos más importantes de la civilización maya-tolteca del Yucatán. Entre los edificios que han sobrevivido al paso del tiempo figuran el Templo de los Guerreros, el Castillo y el observatorio circular conocido por el nombre de El Caracol. The town of Chichen-Itza was established during the Classic period close to two natural cavities (cenotes or chenes), which gave the town its name "At the edge of the well of the Itzaes". The cenotes facilitated tapping the underground waters of the area. The dates for this settlement vary according to subsequent local accounts: one manuscript gives 415-35 A.D., while others mention 455 A.D. The town that grew up around the sector known as Chichen Viejo already boasted important monuments of great interest: the Nunnery, the Church, Akab Dzib, Chichan Chob, the Temple of the Panels and the Temple of the Deer. They were constructed between the 6th and the 10th centuries in the characteristic Maya style then popular both in the northern and southern areas of the Puuc hills. After the 13th century no major monuments seem to have been constructed at Chichen-Itza and the city rapidly declined after around 1440 A.D. The ruins were not excavated until 1841 A.D.
Criterion (i) : The monuments of Chichen-Itza, particularly in the northern group, which includes the Great Ball Court, the Temple of Kukulkan and the Temple of the Warriors, are among the undisputed masterpieces of Mesoamerican architecture because of the beauty of their proportions, the refinement of their construction and the splendor of their sculpted decorations. Criterion (ii): The monuments of Chichen-Itza exerted an influence throughout the entire Yucatan cultural zone from the 10th to the 15th century. Criterion (iii): Chichen-Itza is the most important archaeological vestige of the Maya-Toltec civilization in Yucatan (10th-15th centuries). From its abandonment during the 15th century, Chichen-Itza underwent a process of gradual deterioration until the first excavations at the site began more than a century ago. Nevertheless, the excellent materials and building techniques used by the Maya in the construction of the buildings secured that the architectonic, sculptural and pictorial essence of Chichen-Itza would be conserved through the centuries. Until today the elements that convey the Outstanding Universal Value of the property have been preserved. However, discoveries at the site that are not considered in the original protective polygon should be officially included. Furthermore, there are a number of threats to the integrity of the site, derived from excessive use or inadequate infrastructure development to provide services, which will require constant control in order to avoid negative impacts. The condition of authenticity met by the site at the moment of its inscription was maintained. However, the use of the property as stage for unrelated cultural events has sparked a discussion concerning the impact of these activities on the conservation and authenticity of the site. In order to ensure that use and function, as well as the character of the site are maintained, enforcement of regulatory measures and protection mechanisms are required. Chichen-Itza is protected by the 1972 Federal Law on Monuments and Archaeological, Artistic and Historic Zones and was declared an archaeological monument by a presidential decree in 1986. The site remains open to the public 365 days of the year, and received a minimum of 3.500 tourists per day, a number which can reach 8.000 daily visitors in the high season. This means that the site needs constant maintenance and attention in order to avoid deterioration of its prehispanic fabric. Yucatan is the only state in Mexico where two institutions are involved in the management of archaeological sites: the National Institute of Anthropology and History (INAH), which is in charge of the care and conservation of the archaeological site, and the Board of Units of Cultural and Tourism Services of the State of Yucatan. 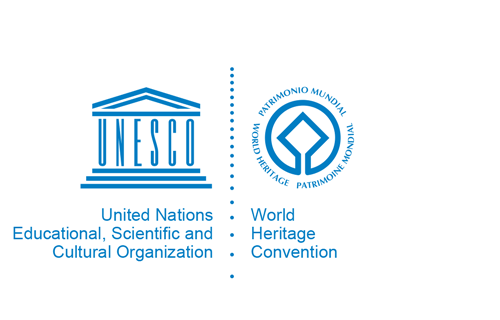 The Board was created in 1987 in order to manage the Units of Cultural and Tourism Services of the archaeological sites of Uxmal, Chichen-Itza, Kabah, Sayil, Labna, Zibichaltún and the Caves of Loltún and Balancanche. Medium and long-term activities at Chichen-Itza, including investigation, conservation, thematic interpretation, administration and operation of the site, are addressed in the "Management Plan of the Pre-hispanic City of Chichen-Itza". The purpose of the Plan is to articulate and coordinate the activities at the site, especially those geared towards the mise en valeur of the property and the generation of participation of the different sectors involved in the management, including the general public. No emergency plan exists for the site and there is no long term monitoring of the state of conservation, due to lack of personnel. This puts the site at risk from natural and anthropogenic disasters, as well as from longer term degradation. Threats like fire and lime stone erosion have been highlighted. Sustainable implementation of the defined planning tools and the allocation of resources to conservation and management are necessary means to ensure the conservation of the Outstanding Universal Value of the property in the long term.